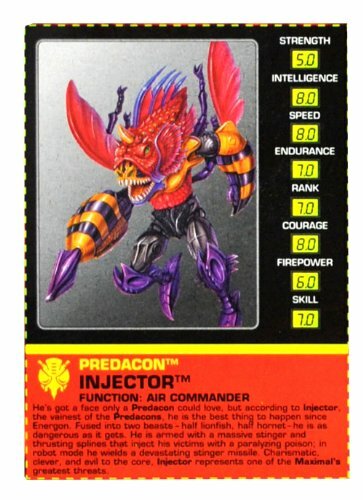 He's got a face only a Predacon could love, but according to Injector, the vainest of the Predacons, he is the best thing to happen since Eneegon. 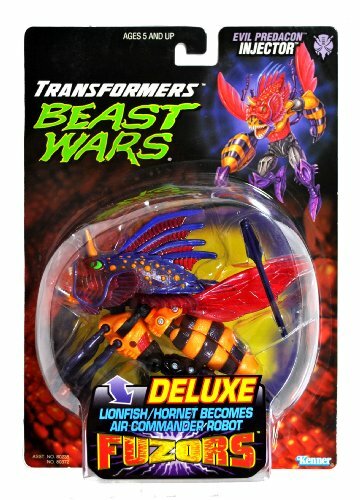 Fused into two beasts - half lionfish, half hornet - he is as dangerous as it gets. He is armed with a massive stinger and thrusting splines that inject his victims with a paralyzing poison; in robot mode he wields a devastating stinger missile. Charismatic, clever, and evil to the core. Injector represents one of the Maximals greatest threats. 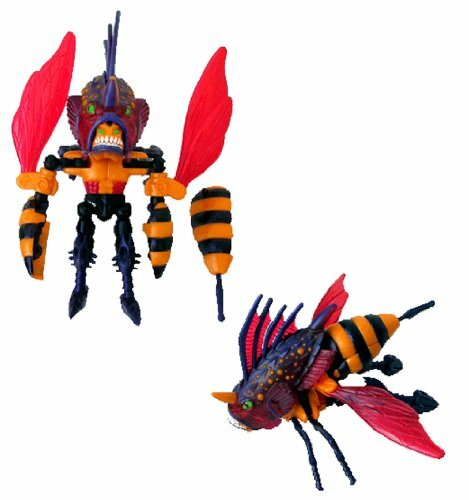 Lionfish/Hornet Becomes Air Commander Robot!